Details of work by (left to right) Matthew Colaizzo, Josh Dannin, Heather McMordie, Aubrey DiDonato, Victoria Burge, Serena Perrone, and J Pascoe. 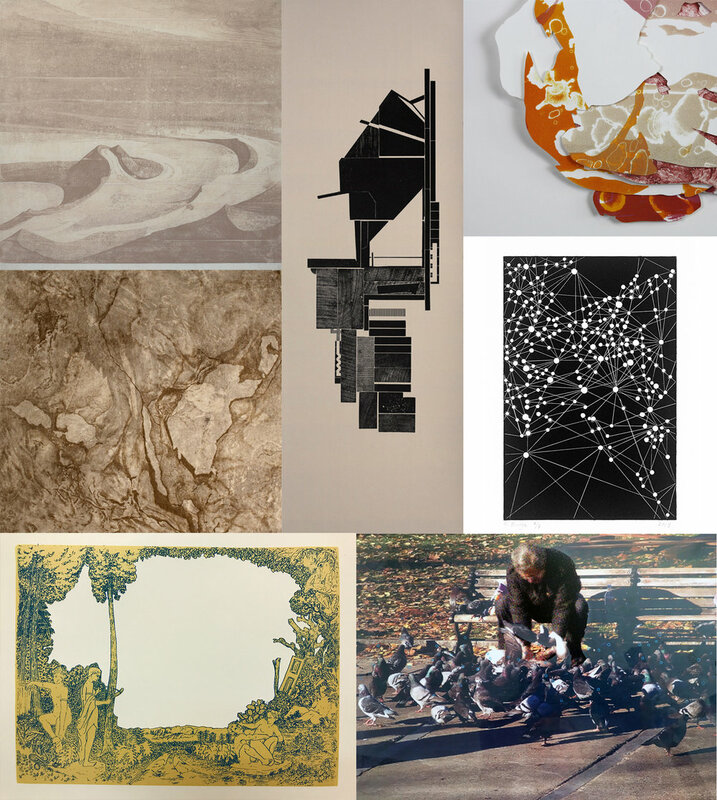 The Second State Press Fob Holder Alumni Exhibition highlights the work of 24 artists. Second State Press (SSP) is a nonprofit community printmaking studio that has called the Crane Arts home for the past seven years. To celebrate our birthday, SSP is highlighting the incredible and diverse work of its past Fob Holders. At SSP, a Fob Holder is an artist who has been selected through an application process to have 24/7 access to the studio in exchange for helping in our shop. Fob Holders are a critical part of SSP and at the core of everything we do. They have been responsible for building a supportive and vibrant printmaking artist community in our studio and throughout the Philadelphia region. Also, they have produced exceptional work of their own while being Fob Holders. Board Members Rochelle Toner, Dean Emeritus of Tyler School of Art, and Mary Phelan, Professor at University of the Arts, have selected 24 alumni from our program from the over one hundred exceptional artists who have participated over the past seven years.